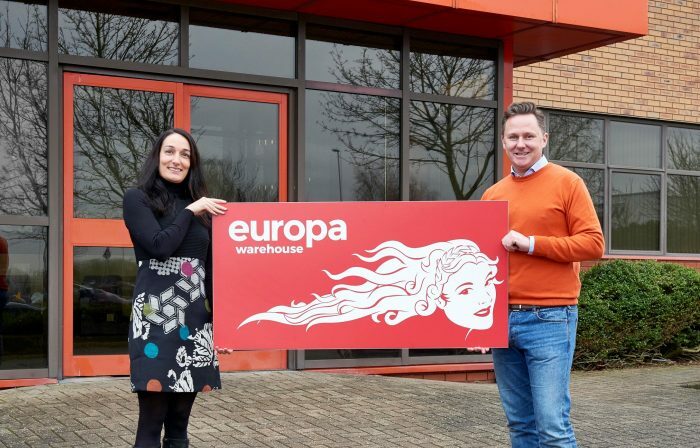 L-R: Maria Torrent-March, Europa Warehouse Director, and Andrew Baxter, Managing Director of Europa. Logistics operator, Europa Worldwide Group, which has 15 UK branches including one in Nottingham, has acquired some of the trade and assets of Menzies Response (an end-to-end fulfilment and warehouse management service) for an undisclosed sum. Europa’s Managing Director, Andrew Baxter, said: “The acquisition is a great start to the year for Europa, further adding to our growing portfolio. The Menzies’ assets are a perfect fit with Europa Warehouse and our aim is to strengthen, develop and grow the business. Joining Europa’s 800 staff across its 14 sites in the UK, Belgium and Hong Kong, the Menzies Response staff will play a key role in Europa’s plans to expand to a £400m turnover operator in the next four years through a combination of organic growth and further acquisitions.